SUPERSIZE HAS LANDED! 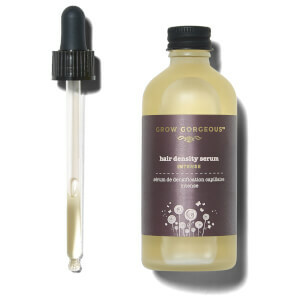 Our best-selling Grow Gorgeous Hair Density Serum now comes in a SUPERSIZE bottle! With an extra 1 fl.oz for only $14 more - what are you waiting for? For those who want to kick-start their way to Rapunzel-esque locks, this serum will have wondrous effects on the thickness, fullness and overall health of your hair. Achieve visibly fuller, thicker and healthier hair with the Grow Gorgeous Hair Density Serum. Formulated with a unique complex of active ingredients, including: Clover Flower Extract, Hyaluronic Acid, Chinese Skullcap Extract, and the super-peptide Acetyl-3-Tetrapeptide, you’ll achieve visible results in as little as 4 weeks*. Continued use of this unique serum will ensure you get even better results, helping to visibly improve hair thickness. 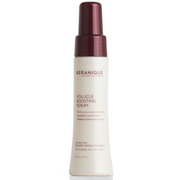 Don’t just believe us, 90% of women agree their hair looks fuller* after using our Hair Density Serum for 12 weeks. Paraben, silicone and sulphate free. Hair Type: Those longing for fuller, thicker and healthier hair.